The expansion Tampa Bay Buccaneers are legendary in NFL circles for all the wrong reasons. Generally considered to be the worst team in NFL annals, they went 0-14 and a whole host of legendary stories came out of the season. The 1977 team was actually worse offensively and extended the losing streak to a league-record 26 games before the franchise finally won in New Orleans in December of that year. 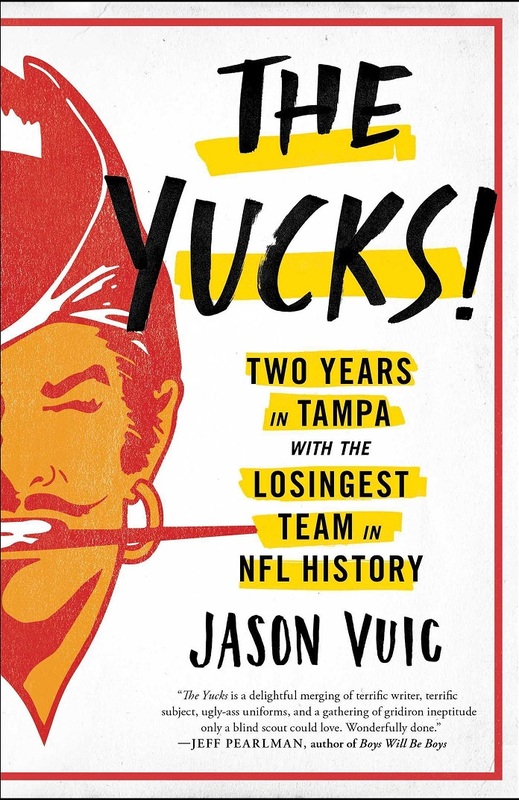 Jason Vuic is a lifelong Buccaneer fan and has written an excellent book looking at those two years and the characters behind them. From the start of pro football in Tampa through the awarding of the franchise in 1974. The drafts, the training camp and then all the defeats. As the book moves through the two seasons, John McKay's plan for the team unfolds with all the bumps it hit on the way. I have long had a soft spot for the expansion Bucs and have many screens on BUCPOWER.COM dedicated to the inaugural team. And the best compliment I can extend to Jason's book is that I learned a great many things I did not know. He has taken many of the Tampa newspaper reports of the era and put together an excellent history of the birth of the franchise. Many players have been interviewed for their comments on the two seasons including the most literary of them all, Pat Toomay. The views of coaches, backroom staff and Tampa media are included to give a full picture of what life was like for the Buccaneers during the long losing streak. When times are good, such as the Super Bowl season, it is easy to write congratulatory books and celebrate success. It takes a dedicated writer to focus on the not-so-good years. But it is all part of the history of the Buccaneers and therefore should be part of any Buccaneer fan's book collection.